Through the links with P1 Technology, we were able to utilise MAS funding to help finance the development of a modular ink mixer, drawing inspiration from a largerexisting ink mixer design. These mixers were designed for batch manufacture which included an application of new manufacturing processes and materials to introduce cost savings and efficiencies in the assembly process. The initial stage of the project was to review the 2D and 3D CAD of the existing larger machine which is low volume and relatively industrial. The client had a much smaller budget for this machine; wanting to maximise profit and simplify a budgeted production, in order to compete with another competitor product. The existing market and products were researched and analysed to form a better understanding of the brief. Following this review, standard components were identified and selected, based on making the mixers more attractive by being priced lower and functioning better. Based on the project brief the designs for the modular mixer was realised through initial sketch ideas which were translated into SolidWorks 3D CAD, using configurations for the different size ranges required for the manufacturing output from SolidWorks including 2D Production drawings and a full Bill of Materials (BOM). The mixers were an overall success for batch manufacture; increasing efficiency in the production at M&S Services and increasing profit through clever design. 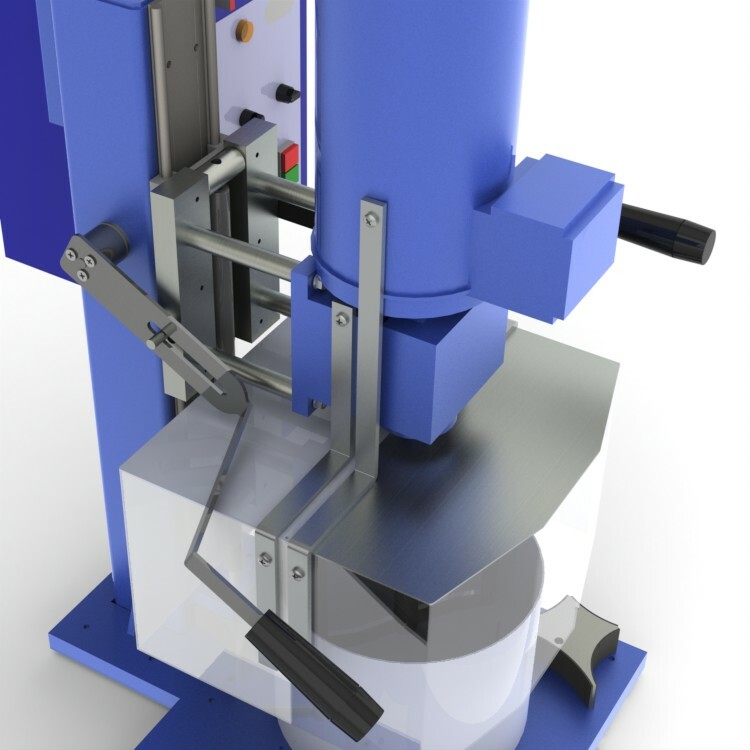 Working closely with the customer at all stages of the development process enabled us to draw on their experience, inspiring a range of different ideas resulting in a design for a machine that can maximise the margin for the final product. For more information on this project call us today on 0843 886 6468 or email made@p1engineeringsolutions.com to see how we can help.